to see an advance screening of The Secret World of Arrietty and it was so darling! We've been so sick around here, that I hadn't gotten around to writing about it. 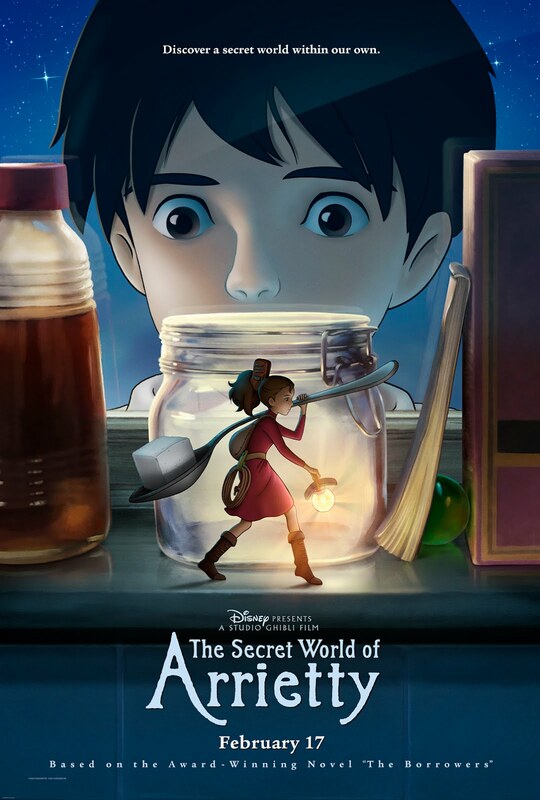 The gorgeous animation was magical and I loved the whimsical soundtrack. who also produced Spirited Away and Ponyo. and the Borrowers are changed forever. The thing that I loved most about this movie was it's calming nature. films and tv shows that my children watch. of the cartoons I used to watch as a child. 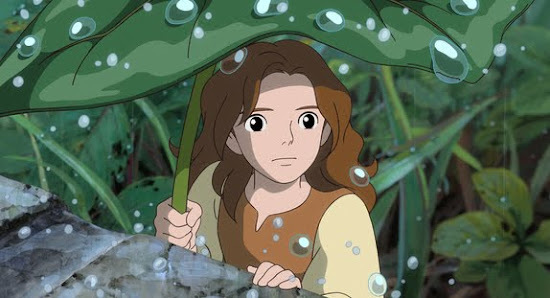 I also adored Arrietty - she was strong, spunky and spirited. and she's a fabulous role model for little ones. When I asked him what his favorite part was he said, "All of it mom! Ok, my favorite? I liked when the crazy bird tried to get into the house." heart strings and make you grateful for your blessings. Fun. It is actually one I cannot wait to go see with my boys. I loved the books when I was growing up.